The signs of climate change are unmistakable even today, but the real transformations have hardly begun. We've been taught that warming would be slow-but, barring very dramatic action, each of these impacts is likely to arrive within the length of a new mortgage signed this year. What will it be like to live on a pummeled planet? What will it do to our politics, our economy, our culture and sense of history? And what explains the fact we have done so little to stop it? These are not abstract questions but immediate and pressing human dramas, dilemmas and nightmares. 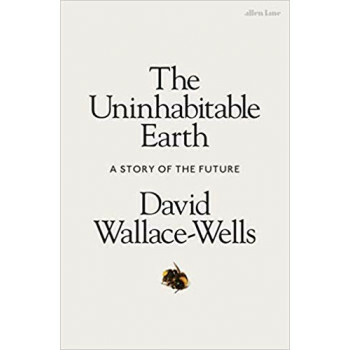 In The Uninhabitable Earth, David Wallace-Wells undertakes a new kind of storytelling and a new kind of social science to explore the era of human history on which we have just embarked.